If you don’t have a hand in a server day in and day out, it was perhaps not obvious why some Skylake servers when launched had eight memory slots. 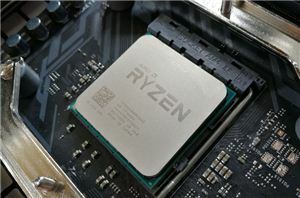 The Skylake-SP based Xeon platform only had six memory channels, so each socket should have had six or twelve memory slots, but for some reason we saw systems with eight and didn’t know why at the time. Perhaps even more confusingly, none of the product managers I speak to on a regular basis could give me a straight answer as to why these systems had eight memory slots per socket. The best answer I was given was that previous generation processors were quad-channel, so by having eight DIMMs they could transfer expensive memory across systems. It would mean a situation where of the six channels in the new processors, two of those channels would run at two DIMMs per channel, and the others would be at one DIMM per channel. 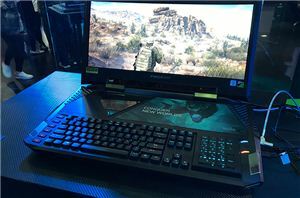 The configuration is odd, sure, but we’ve seen it in the past on motherboards like the EX58-UD3 that had a 3+1 for a tri-channel system. When Intel formally showcased Apache Pass, or what is now known as Optane DC Persistent Memory (or Optane DIMMs), it became clear that these ‘extra’ slots were officially designed for it. At the Optane DIMM launch, Intel was coy about the adaptability of the new memory, deciding to hold back on the answer as to whether the new Optane DIMMs and DDR4 were interchangeable (as they are pin-compatible), although answers have been offered by Charlie from Semiaccurate. 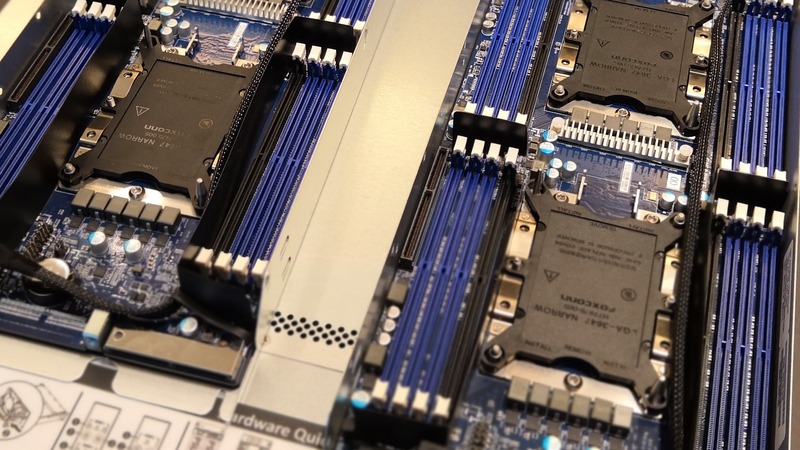 Earlier in the year, Paul over at Tom’s Hardware showcased a diagram of a Lenovo system that exhibited a block diagram of two DIMMs of Optane per socket, with each of those backed by another DDR4 module. Intel has clarified that the new Optane DC Persistent Memory will only be compatible with their next generation of processors, however we do know that Optane DIMMs were originally set for the Skylake-SP platform. 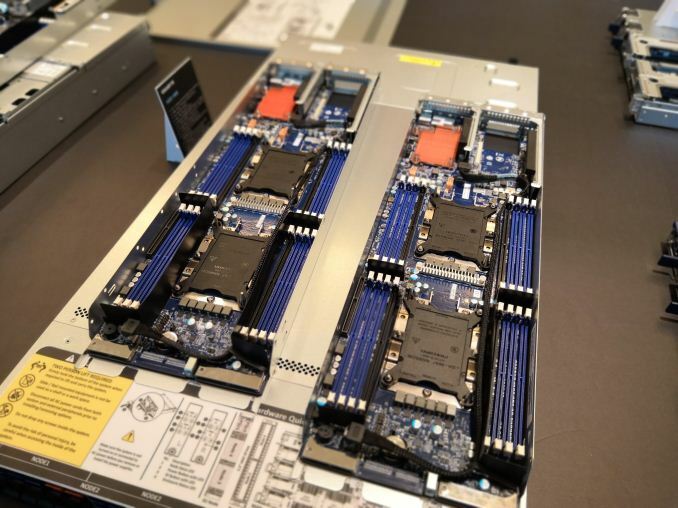 The two processor families are still meant to be socket compatible, but server makers had system setups in place for Optane DIMMs back at Skylake-SP launch. If you’ve ever wondered what those extra colored memory slots are, there you go. 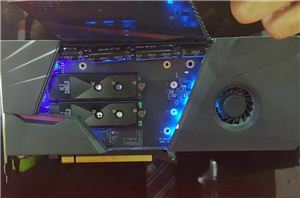 GIGABYTE had some on display at their booth, hence a short update.